Whether concealed or out in the open, hinges, handles, and railings enhance both the safety and aesthetics of the well-considered interior. Here’s a selective survey of hardware culled from the AN files. 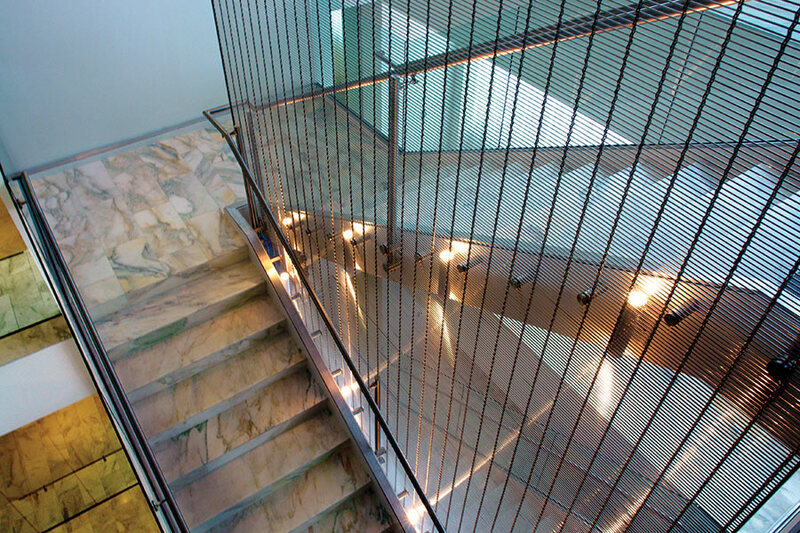 This stainless steel metal mesh is ideal for interior and exterior applications, such as balustrades, screens, and space dividers. Woven for flexibility in one direction, the product weighs just less than 2 pounds-per-square-foot and is 0.37 inches thick. Its 65 percent open area makes it ideal for sun shading applications. A unique system of concealed fasteners for various applications—from top mounted to countersunk point fittings—is designed to support CARVART’s glass offerings. Rigid and durable stainless steel, bronze, and aluminum elements can be customized with satin or brushed finishes, powder coatings, or oil rubs. Corbin Russwin and SARGENT brands’ wireless electronic lock can interface with existing IT systems and a range of access control systems. 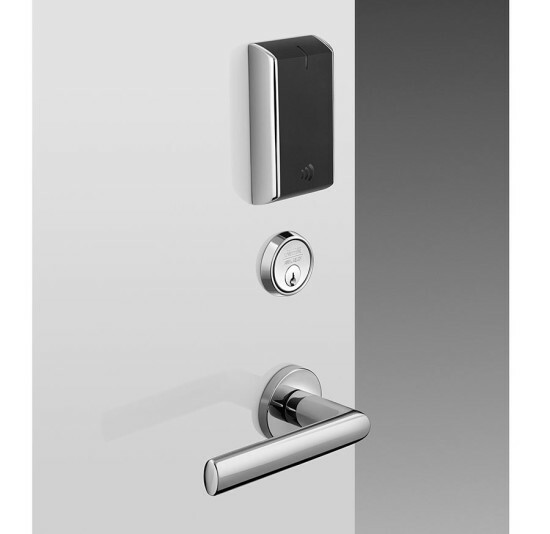 Customizable from a kit of parts, the lock includes features to facilitate operation regardless of network status, and privacy and lockdown modes for both cylindrical and mortise lock designs. 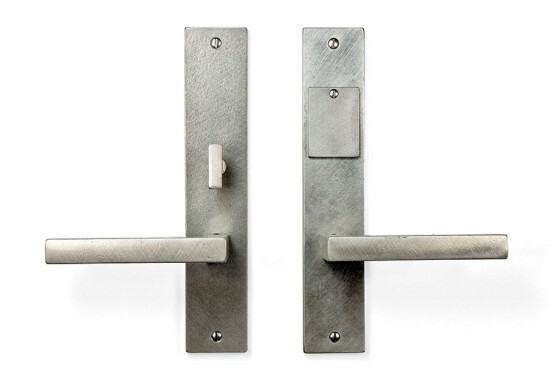 Sun Valley Bronze’s Novus Collection of mortise-lock entry sets features a slim, 2-inch faceplate with no visible hub, a square key cover, and the company’s modern Elle lever. Its white bronze construction boasts 93 percent pre-consumer recycled copper, manganese, nickel, and zinc elements for a nickel hue. 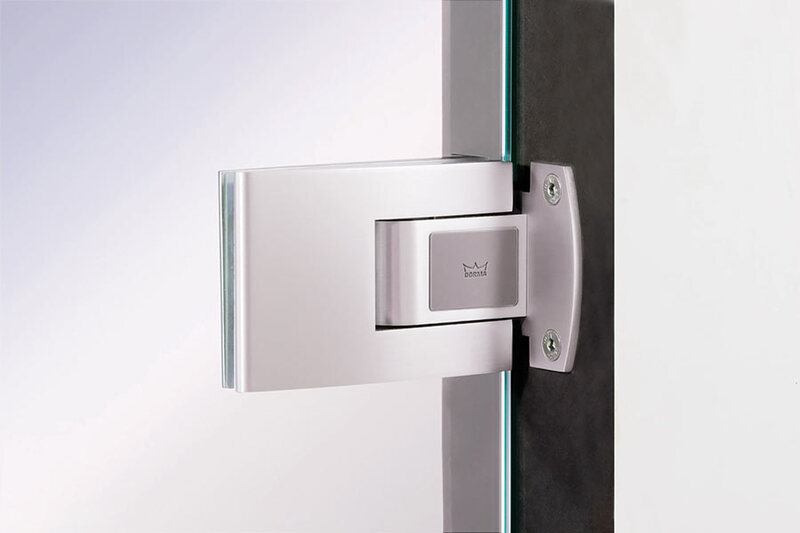 Tensor features a self closing, double acting hinge that is suitable for a variety of door designs and sizes up to 143 pounds. When doors open to 90 degrees, Tensor’s inlay is engineered to protect the technical core and function as a mechanical stop. A uniquely engineered pivot-slide hardware system facilitates bi-folding glass and wood pocket doors as wide as 9 feet. Guiding tracks produce gaps of 20 mm from floor to door, and 40 mm from door to ceiling. Doors are flush with the wall when closed. 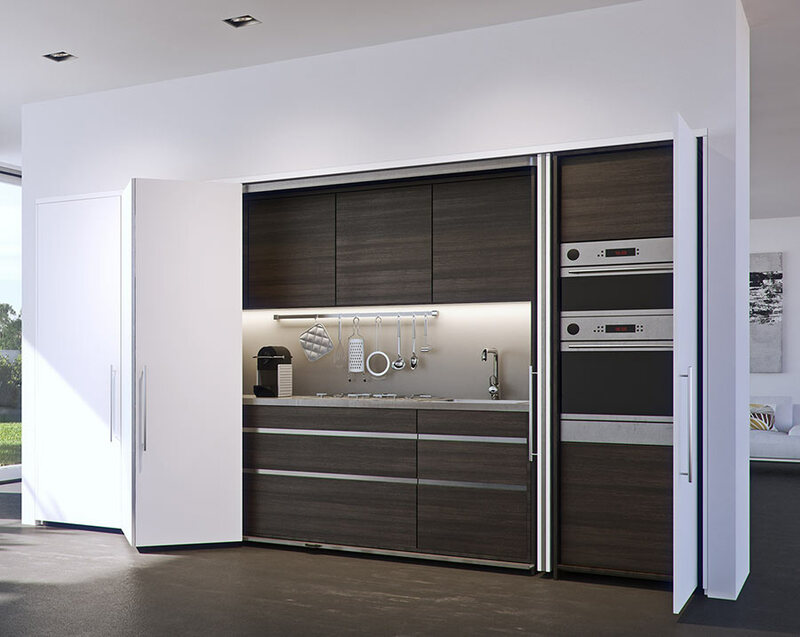 An aluminum fascia conceals hinges when open doors are tucked into the cabinet. 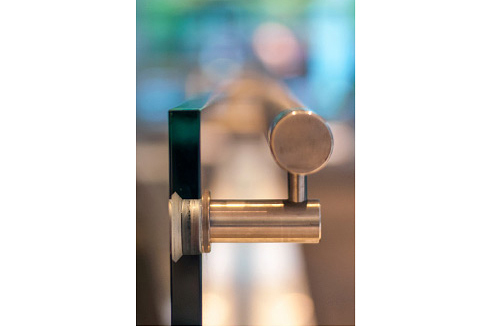 A solid, brushed stainless steel 20-mm rod (above) is the defining component of Omnia’s 721 Modern Door Pull. Two lengths—15¾ inches and 31½ inches—affix seamlessly to notched supports that attach directly to the door. It can be installed as a single door pull or doubled up back-to-back. 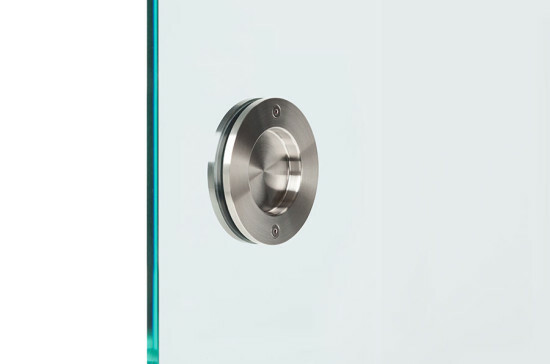 Constructed from solid stainless steel with a radial brushed finish, the Ring Pull is suitable for wood and glass doors. Measuring up to 3 ¼-inches in diameter, open and closed variations can be specified in natural brushed metal and black stainless. The open style features an interior rubber lining for user comfort.